Fayalite: Mineral information, data and localities. 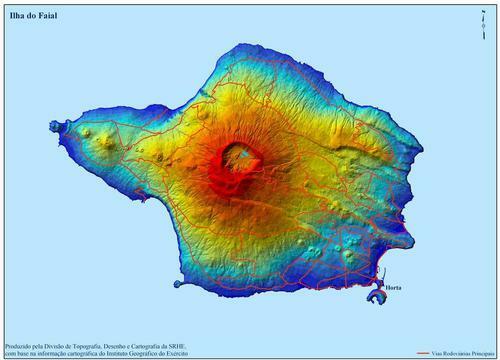 Named by Christian Gottlieb Gmelin in 1840 for the type locality, Faial Island (Fayal Island), Azores District (Azores Islands), Portugal. Olivine Group. 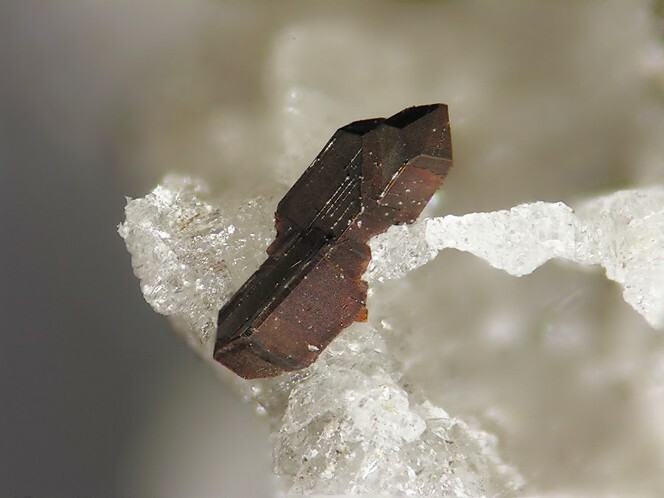 Fayalite-Forsterite Series, and the Fayalite-Tephroite Series. The Fe2+ analogue of Forsterite, Tephroite, and Calcio-Olivine. Uncommon in nature, but common in man-made (metallurgy) iron slags. Visit gemdat.org for gemological information about Fayalite. Space group Pbnm (non-standard setting). Cristobalite 38 photos of Fayalite associated with Cristobalite on mindat.org. Tridymite 15 photos of Fayalite associated with Tridymite on mindat.org. Obsidian 14 photos of Fayalite associated with Obsidian on mindat.org. Laihunite 6 photos of Fayalite associated with Laihunite on mindat.org. Ferrosilite 6 photos of Fayalite associated with Ferrosilite on mindat.org. Hematite 4 photos of Fayalite associated with Hematite on mindat.org. Quartz 3 photos of Fayalite associated with Quartz on mindat.org. Wollastonite 2 photos of Fayalite associated with Wollastonite on mindat.org. Meteoritic Iron 2 photos of Fayalite associated with Meteoritic Iron on mindat.org. Hendricksite 2 photos of Fayalite associated with Hendricksite on mindat.org. Gmelin, C.G. (1840) Chemische Untersuchung des Fayalites. Annalen der Chemie und Physik: 127(2/051): 160.
von Fellenberg, R.L. (1840) Analyse des Eisenperidots, eines neuen vulkanischen Minerals von den Azoren. Annalen der Physik und Chemie: 127(2/051): 261. Fisher, G.W., Medaris, L.G. (1969) Cell dimensions and X-ray determinative curve for synthetic Mg-Fe olivines. American Mineralogist: 54: 741-753. Burns R G, Huggins F E (1972) Cation determinative curves for Mg-Fe-Mn olivines from vibrational spectra. American Mineralogist: 57: 967-985. Smyth, J.R. (1975) High temperature crystal chemistry of fayalite. American Mineralogist: 60: 1092-1097. Hazen, R.M. (1977) Effects of temperature and pressure on the crystal structure of ferromagnesian olivine. 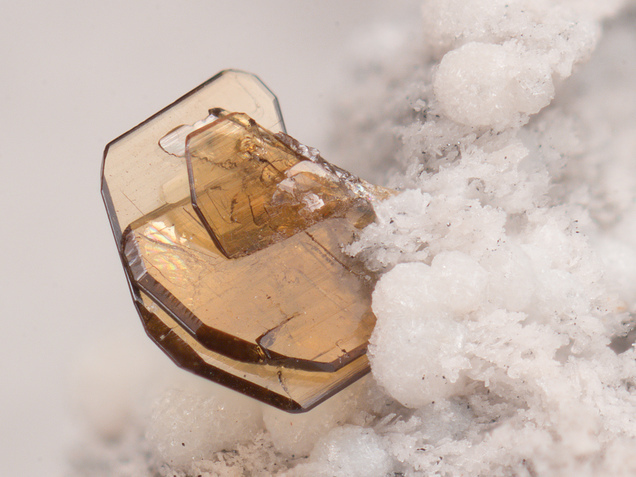 American Mineralogist: 62: 286-295. Schwab, R.G., Küstner, D. (1977) Präzisionsgitterkonstantenbestimmung zur Festlegung röntgenographischer Bestimmungskurven für synthetische Olivine der Mischkristallreihe Forsterit-Fayalit. Neues Jahrbuch für Mineralogie, Monatshefte, 5: 205-215. Riekel, C., Weiss, A. (1978) Cation-ordering in synthetic Mg2-xFexSiO4-olivines. Zeitschrift für Naturforschung B Anorganische Chemie, Organische Chemie: 33b: 731-736. O'Neill, H.S.C. (1987) The quartz-fayalite-magnetite equilibria and free energies of formation of fayalite (Fe2SiO4) and magnetite (Fe3O4). American Mineralogist: 72: 67-75. Fe-Mn cation ordering in fayalite-tephroite (Fe x Mn (sub 1-x) ) 2 SiO 4 olivines; a neutron diffraction study. Mineralogical Magazine: 62: 607-615. The following Fayalite specimens are currently listed for sale on minfind.com. L. Latouche : "L'orthoferrosilite et les roches associées de la région des Gour Oumeladen (N.E. Ahaggar, Algérie)", Bull. Minéral. , 1983, 106, pp. 329-339. Bendaoud, A., Ouzegane, K., & Kienast, J. R. (2003). Textures and phase relationships in ferrous granulites from Tidjenouine (Hoggar, Algeria): fayalite–ferrossilite–quartz secondary assemblage. Journal of African Earth Sciences, 37(3), 241-255. Sighinolfi, G. P., Garuti, G., & Morais, E. (1990) The Jolomba, Angola, LL chondrite. Meteoritics, Vol. 25, p.410. Bucher, K., & Frost, B. R. (2005). Fluid transfer in high-grade metamorphic terrains intruded by anorogenic granites: The Thor Range, Antarctica. Journal of Petrology, 47(3), 567-593. Krot, A. N., Doyle, P. & Nagashima, K. (2013) Secondary Fayalite, Hedenbergite, and Magnetite in the CO3.0-3.1 Carbonaceous Chondrites Y-81020, EET 90043, and MAC 88107: Lunar and Planetary Science Conference XLIV. LPI Contribution #1719: p.1754. (Mar 2013). Hartmetz, C.P., Dehart, J.M. & Hasan, F.A. (1990) LEW86018: A Rare L3.1 Unequilibrated Ordinary Chondrite (Abstract). Lunar and Planetary Science Conference XXI: 461-462. (March 1990). Anand, M., Williams, C.T., Russell, S.S., Jones, G., James, S., and Grady, M.M. (2005) Petrology and geochemistry of nakhlite MIL 03346: A new Martian meteorite from Antarctica. Lunar and Planetary Science XXXVI. ; Corrigan, C.M, Vicenzi, E.P., Konicek, A.R., and Lunning, N. (2011) An examination of the new Miller Range nakhlites (MIL 090030, 090032, and 090136). 42nd Lunar and Planetary Science Conference, PDF #2657.; Ling, Z., & Wang, A. (2015). Spatial distributions of secondary minerals in the Martian meteorite MIL 03346, 168 determined by Raman spectroscopic imaging. Journal of Geophysical Research: Planets, 120(6), 1141-1159. Corrigan, C.M, Vicenzi, E.P., Konicek, A.R., and Lunning, N. (2011) An examination of the new Miller Range nakhlites (MIL 090030, 090032, and 090136). 42nd Lunar and Planetary Science Conference, PDF #2657. Fujimaki Hirokazu, et al (1981) Ferropseudobrookite-silica mineral-albite-chondrule in the ALH-77015 chondrite (L3). National Institute of Polar Research. Hwang, S. L., Shen, P., Chu, H. T., Yui, T. F., Varela, M. E., & Iizuka, Y. (2016, March). Tsangpoite: The Unknown Calcium Silico Phosphate Phase in the Angrite D'Orbigny. In Lunar and Planetary Science Conference (Vol. 47, p. 1466). Vaughan, J. P. (1986). 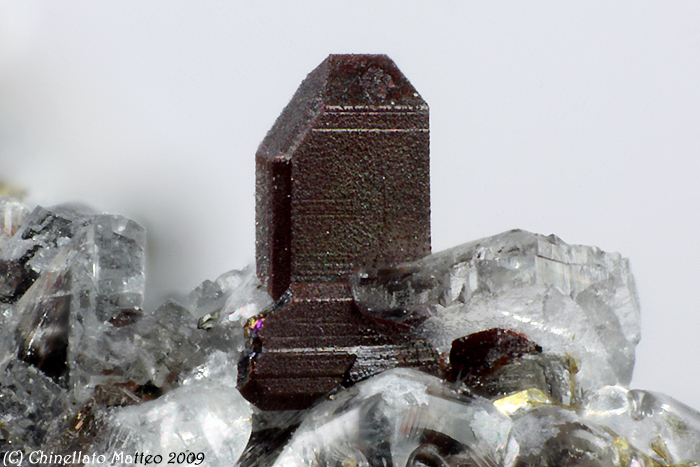 The iron end-member of the pyrosmalite series from the Pegmont lead-zinc deposit, Queensland. Mineralogical Magazine, 50(357), 527-531.; Lottermoser, B. G., Ashley, P. M., & Munksgaard, N. C. (2008). Biogeochemistry of Pb–Zn gossans, northwest Queensland, Australia: implications for mineral exploration and mine site rehabilitation. Applied Geochemistry, 23(4), 723-742. Kolitsch, U. (2016): 1965) Gearksutit, nadeliger Magnetit und die unbenannte Cu-Si-S-O-H-Phase aus der Schlacke von St. Martin am Silberberg, Kärnten. Pp. 210-211 in Walter, F. et al. (2016): Neue Mineralfunde aus Österreich LXV. Carinthia II, 206./126., 203-250. Kolitsch, U. & Brandstätter, F. (2009): 1586) Langit, Wroewolfeit und einige weitere Mineralphasen aus einer Kupferschlacke vom Lechnerberg bei Kaprun, Hohe Tauern, Salzburg. Pp. 207-208 in Niedermayr et al. (2009): Neue Mineralfunde aus Österreich LVIII. Carinthia II, 199./119., 189-236.; Kolitsch, U. & Brandstätter, F. (2012): 1750) Anglesit, Apatit, Azurit, Fayalit, Humboldtin, Laihunit, Magnetit, Vonsenit und eine Cu-S-Si-O-H-Phase aus einer Kupferschlacke vom Lechnerberg bei Kaprun, Salzburg. Pp. 153-155 in Niedermayr, G. et al. (2012): Neue Mineralfunde aus Österreich LXI. Carinthia II, 202./122., 123-180. Berkley, J. L., Keil, K., & Prinz, M. (1980) Comparative petrology and origin of Governador Valadares and other nakhlites. In: Lunar and Planetary Science Conference, 11th, Houston, TX, March 17-21, 1980, Proceedings. Volume 2. (A82-22296 09-91) New York, Pergamon Press, 1980, p. 1089-1102. Steele, I. M., & Smith, J. V. (1976). Mineralogy of the Ibitira eucrite and comparison with other eucrites and lunar samples. Earth and Planetary Science Letters, 33(1), 67-78. Njonfang, E., Moreau, C. (2000) The mafic mineralogy of the Pandé massif, Tikar plain, Cameroon: implications for a peralkaline affinity and emplacement from highly evolved alkaline magma. Mineralogical Magazine 64(3), 525-537. CURRIE, K.L. (1976) The Alkaline Rocks of Canada. Geological Survey of Canada Bulletin 239. SCHILLING, J., FROST, B.R., MARKS, M.A.W., WENZEL, T., and MARKL, G. (2011a) Fe-Ti oxide-silicate (QUIIF-type) equilibria in feldspathoid systems. Americen Mineralogist, 96, 100-110. Hoinkes, G., and Kurat, G. (1975): Meteoritics 10, 416. Am. Min. , V 84, pp. 564-569, 1999. Malec, J., Veselovský, F., Táborský Z. (2013): Fayalit a rudní minerály ve skarnech z Kuklíku a Líšné na Českomoravské vrchovině. – Acta Mus. Moraviae, Sci. geol., 98, 1, 33–40. Jones, A.P. (1980) The petrology and structure of the Motzfeldt centre, Igaliko, south Greenland. Doctoral thesis, Durham University. Parsons, I. and Butterfield, A. W. (1981): Sedimentary features of the Nunarssuit and Klokken syenites, S Greenland. Journal of the Geological Society. 138 (3), 289-306. Hamilton and Christensen (1997) J. Geophys. Res., 102 E11:25593-25603; Berkley, J. L., Keil, K., & Prinz, M. (1980) Comparative petrology and origin of Governador Valadares and other nakhlites. In: Lunar and Planetary Science Conference, 11th, Houston, TX, March 17-21, 1980, Proceedings. Volume 2. (A82-22296 09-91) New York, Pergamon Press, 1980, p. 1089-1102.; Malavergne, V., Guyot, F., Benzerara, K., & Martinez, I. (2001). Description of new shock‐induced phases in the Shergotty, Zagami, Nakhla and Chassigny meteorites. Meteoritics & Planetary Science, 36(10), 1297-1305. Varet, J. (1970): Contributions to Mineralogy and Petrology 27, 321-332. Haapala, I., & Thomas, R. (2000). Melt inclusions in quartz and topaz of the topaz granite from Eurajoki, Finland. Journal of GEOsciences, 45(1-2), 149-154. Kärkkäinen, N., and Appelqvist, H. (1999): Mineralium Deposita 34, 754-769. Designolle, J.L. (1996). Massif du Sancy (Puy de Dôme). Le Cahier des Micromonteurs, (4), 8-9. Ch. Wagner et al. , Bull. Minéral. , 1988, 111, pp. 523-534.
ⓘ Lapanouse-de-Sévérac slag locality ? G. MARI (1979) : Mines et minéraux de la Provence cristalline (Maures.Esterel.Tanneron). Ed. SERRES. Betz, V. (2012) Hyalosiderit und Augit vom Limberg bei Sasbach, Kaiserstuhl. Lapis, 37, #5, 33-36. Blaß, G. and Kruijen, F. (2015) Neuigkeiten aus der Vulkaneifel (II/2015). Mineralien-Welt, 26(5), 80-90.; Leu, K. (2017) Unbekannte Fundstellen in der Eifel - der Tönchesberg bei Kruft. Mineralien-Welt, 28(6), 24-38. Brearley, A. J. & Jones, R. H. (1998). Chondritic Meteorites. In: Planetary Materials (Papike, J. J., Editor): Chapter 3, 398 pages. Mineralogical Society of America: Washington, DC, USA. (1998) ; CHOI, B. G., Krot, A. N., & Wasson, J. T. (2000). Oxygen isotopes in magnetite and fayalite in CV chondrites Kaba and Mokoia. Meteoritics & Planetary Science, 35(6), 1239-1248.; Kimura, M., & Ikeda, Y. (1998). Hydrous and anhydrous alterations of chondrules in Kaba and Mokoia CV chondrites. Meteoritics & Planetary Science, 33(5), 1139-1146. E.R.D. Scott et al. (1988) Primitive material surviving in chondrites: Matrix. IN: Meteorites and the Early Solar System. Kerridge, J. & Matthews, M.S. -Eds., pp. 718--745: University of Arizona Press: Tucson, Arizona. Krot, A.N. et al. (2006) Timescales and settings for alteration of chondritic meteorites: In: Meteorites and The Early Solar System (Editors: Lauretta, D.S. & McSween Jr, H.Y.) University of Arizona Press. Tucson. pp. 525-553. Lauretta, Dante S., Peter R. Buseck, and Thomas J. Zega (2001) Opaque minerals in the matrix of the Bishunpur (LL3.1) chondrite: constraints on the chondrule formation environment. Geochimica et Cosmochimica Acta: 65(8)(15 April 2001): 1337-1353.; Huss, G.R., Rubin, A.E. & Grossman (2006) Thermal Metamorphism in Chondrites: In: Meteorites and The Early Solar System (Editors: Lauretta, D.S. & McSween Jr, H.Y.) University of Arizona Press. Tucson. pp. 567-586.; Lauretta, D.S., Buseck,P.R. & Zega, T.J. (2001) Opaque Minerals in the matrix of the Bishunpur (LL3.1) meteorite: constraints on the chondrule formation environment: Geochimica et Cosmochimica Acta 65 (8): 1337-1353. (April 2001). Gordon, J. (2004): Mineral notes from Italy: Servette Mine and Strahlers' Display. Bulletin of the Mineralogical Society of Southern California, 74, 12; http://www.mineralsocal.org/bulletin/2004/2004_dec.htm; Tumiati, S., Casartelli, P., Mambretti, A., Martin, S., Frizzo, P., Rottoli, M. (2005): The ancient mine of Servette (Saint-Marcel, Val d' Aosta, western Italian Alps): A mineralogical, metallurgical and charcoal analysis of furnace slags. Archaeometry, 47, 317-340. Krot, A.N., Scott, E.R.D., and Zolensky, Z.M. (1995) Mineralogical and chemical modification of components in CV3 Chondrites: Nebular or asteroidal processing? Meteoritics & Planetary Science, 30, 6, 748-775; Lee, M.R., Hutchinson, R., and Graham, A.L. (1996) Aqueous alteration in the matrix of the Vigarano (CV3) carbonaceous chondrite. Meteoritics & Planetary Science 31, 4, 477-483. Giovanni Fraccaro. ; Biffi, P., Sbacchi, M., Sinelli, E. (2004): Gli arseniati di Cava del Prete e altre novità mineralogiche dal granofiro di Cuasso al Monte (Varese). Riv. Mineral. Ital., 28, 4 (4-2004), 232-239. Boriani A. (2003): Il granito di Baveno nel quadro della geologia delle Alpi. In: Buccellati G. (Ed. ), Granito di Baveno. Minerali, scultura, architettura. Università degli Studi di Milano, Arti Grafiche Amilcare Pizzi S.p.A., Milano, pages 13-24. Naitza, S., Secchi, F., Oggiano, G., & Cuccuru, S. (2015, April). A Late Variscan Sn province: the Arburese region (SW Sardinia, Italy). In EGU General Assembly Conference Abstracts (Vol. 17). Di Franco, S. (1942): Mineralogia Etnea. Atti dell'Accademia Gioenia di Scienze Naturali, Serie IV, 5, 175 pp. Campostrini, I., Demartin, F., Gramaccioli, C.M., Russo, M. (2011): Vulcano Tre secoli di mineralogia. AMI, Ed., Cremona, 344 pp. Manasse A., Mellini M. (2002): Chemical and textural characterisation of medieval slags from the Massa Marittima smelting sites (Tuscany, Italy). J. Cultural Heritage, 3, 187-198. Andrea MANASSE, Marcello MELLINI and Cecilia VITI (2001): The copper slags of the Capattoli Valley, Campiglia Marittima, Italy. European Journal of Mineralogy 13, 949-960. Franzini, M., Perchiazzi, N. (1992): I minerali delle scorie ferrifere etrusche di Baratti (Livorno). Atti della Società Toscana di Scienze Naturali, Memorie, Serie A, 99, 43-77; Franzini, M., Perchiazzi, N., Bartoli, M.L., Chiappino, L. (1992): Baratti (LI): una nuova località mineralogica italiana analoga al Laurion. Rivista Mineralogica Italiana, 15, 1 (1-1992), 1-14 [1a parte]; Benvenuti, M., Mascaro, I., Costagliola, P., Tanelli, G., Romualdi, A. (2000): Iron, copper and tin at Baratti (Populonia): smelting processes and metal provenances. Historical Metallurgy, 34, 2, 67-76; Chiarantini, L., Benvenuti, M., Costagliola, P., Fedi, M.E., Guideri, S., Romualdi, A. (2009): Copper production at Baratti (Populonia, southern Tuscany) in the early Etruscan period (9th–8th centuries BC). Journal of Archaeological Science, 36, 1626-1636. Excalibur Mineral company specimens; Sueno, S., Matsuura, S., Bunno, M., & Kurosawa, M. (2002). Occurrence and crystal chemical features of protoferro-anthophyllite and protomangano-ferro-anthophyllite from Cheyenne Canyon and Cheyenne Mountain, USA and Hirukawa-mura, Suisho-yama, and Yokone-yama, Japan. Journal of mineralogical and petrological sciences, 97(4), 127-136. Dr. Yasuko Okuyama-Kusunose analysis; Alfredo Petrov specimens. American Mineralogist (1956): 41: 104-116. Price, R.C., Johnson, R.W., Gray, C.M., and Frey, F.A. (1985) Geochemistry of phonolites and trachytes from the summit region of Mt. Kenya. Contributions to Mineralogy and Petrology, 89, 394–409. Imai H. and Yurimoto H. (2000). Bohrson W. A., Reid M. R. (1997): Genesis of silicic peralkaline volcanic rocks in an oceanic island setting by crustal melting and open-system processes: Socorro Island, Mexico. Journal of Petrology, 38, 1137–1166. Leroux, H., & Cordier, P. (2006). Magmatic cristobalite and quartz in the NWA 856 Martian meteorite. Meteoritics & Planetary Science, 41(6), 913-923. T.J. McCoy, M. Wadhwa, K. Keil, New lithologies in the Zagami meteorite: evidence for fractional crystallization of a single magma unit on Mars, Geochimica et Cosmochimica Acta, Volume 63, Issues 7–8, April 1999, Pages 1249-1262,; Wang, A., Jolliff, B. L., & Haskin, L. A. (1999). Raman spectroscopic characterization of a Martian SNC meteorite: Zagami. Journal of Geophysical Research: Planets (1991–2012), 104(E4), 8509-8519. Suzuki, J. (1938) On a rock of nordmarkitic composition from Hakutou volcano, Korea. Journal of the Faculty of Science, Hokkaido Imperial University, Series IV, 4, #1-2, 173-181. Srinivasan, P., Dunlap, D. R., Agee, C. B., Wadhwa, M., Coleff, D., Ziegler, K., ... & McCubbin, F. M. (2018). Silica-rich volcanism in the early solar system dated at 4.565 Ga. Nature communications, 9(1), 3036. Irving, A. J., & Kuehner, S. M. (2003, March). Petrology of NWA 1460: A Baddeleyite-bearing Shergottite Paired with NWA 480. In Lunar and Planetary Institute Science Conference Abstracts (Vol. 34, p. 1503). Griffin, W.L., Heier, K.S., Taylor, P.N. & Weigand, P.W. (1974): General geology, age and chemistry of the Raftsund mangerite intrusion, Lofoten, Vesterålen. Norges Geologiske Undersøkelse. 312, 1-30. Neumann, H. (1985): Norges Mineraler. Norges Geologiske Undersøkelse Skrifter 68, p. 130. J. Hysingjord (1978, letter); Neumann (1985, p. 130). Binns, R. A. (1968). Cognate xenoliths in chondritic meteorites: Examples in Mezö-Madaras and Ghubara. Geochimica et Cosmochimica Acta, 32(3), 299-317. Jeffery, A.J., Gertisser, R., Jackson, R.A., O'Driscoll, B., Kronz, A. (2016): PREPUBLICATION: On the compositional variability of dalyite, K2ZrSi6O15: a new occurrence from Terceira, Azores. Mineralogical Magazine, Prepublication, 39 pp. (available on line since January 1, 2016). http://minerals-of-the-carpathians.eu; Hîrtopanu, P. (2006) One Hundred Minerals For One Hundred Years (dedicated To The Centennial Of The Geological Institute Of Romania) Acta Mineralogica-Petrographica, Abstract Series 5, Szeged, p38; Udubasa, G., Hartopanu, P., Ilinca, G. (1996). The Regionally metamorphosed Fe-Mn Ore Deposit at Razoare, Preluca Mts., Romania. Romanian Journal of Mineralogy, 77, 3-20. Binns, R. A. (1968). Cognate xenoliths in chondritic meteorites: Examples in Mezö-Madaras and Ghubara. Geochimica et Cosmochimica Acta, 32(3), 299-317.; Michel‐Lévy, M. C. (1988). A New Component of the Mezö‐Madaras Breccia: A Microchondrule‐and Carbon‐Bearing L‐Related Chondrite. Meteoritics, 23(1), 45-48. C. Harris, G. Cressey, J. D. Bell, F. B. Atkins and S. Beswetherick (1982) An Occurrence of Rare-Earth-Rich Eudialyte from Ascension Island, South Atlantic. Mineralogical Magazine 46:421-425. M. Le Guen de Kerneizon et al. , Bull. Minéral. , 1982, 105, pp. 203-211.; Le-Guen de Kerneizon, M., Carron, J.P., Maury, R.C., Bellon, H., Dupuy, C. (1982) Les rhyolites a fayalite et ferroaugite de Sainte-Lucie (arc insulaire des Petites Antilles). Bulletin de Minéralogie, 105, 203-211. www.lpi.usra.edu/meetings/metsoc2000/pdf/5306.pdf. ; MacDougall, J. D. & Phinney, D. (1977) Olivine separates from Murchison and Cold Bokkeveld - Particle tracks and noble gases. In: Lunar Science Conference, 8th, Houston, Tex., March 14-18, 1977, Proceedings. Volume 1. (A78-41551 18-91) New York, Pergamon Press, Inc., 1977, p. 293-311. Stalder, H. A., Wagner, A., Graeser, S. and Stuker, P. (1998): "Mineralienlexikon der Schweiz", Wepf (Basel), p. 160. Battey, M.H. and Moss, A.A. (1962) Powellite from Traprain Law, Haddingtonshire, Scotland. Mineralogical Magazine, vol. 33, n° 257, p. 158-161. Krivdik, S. G., Orsa, V. I., & Bryansky, V. P. (1988). Fayalite-hedenbergite syenites of the southeastern part of the Korsun-Novomirgorod pluton. Geologicheskii Zhurnal, 6, 43-53. Anthony, J.W., et al (1995), Mineralogy of Arizona, 3rd.ed. : 219; Mason, B. (1968), Kaersutite from San Carlos, AZ, with comments on the paragenesis of this mineral, Mineralogical Magazine: 36: 997-1002; Galbraith, F.W. & D.J. Brannan (1959), Minerals of AZ: 95. Anthony, J.W., et al (1995), Mineralogy of Arizona, 3rd.ed. : 219; Mason, B. (1968), Kaersutite from San Carlos, Arizona, with comments on the paragenesis of this mineral, Mineralogical Magazine: 36: 997-1002; Galbraith, F.W. & D.J. Brennan (1959), Minerals of AZ: 95. Parsons, M. B.; Bird, D. K.; Einaudi, M. T.; Alpers, C. N. (2001): Geochemical and mineralogical controls on trace element release from the Penn Mine base-metal slag dump, California. Applied Geochemistry 16, 1567-1593. Rogers, Austin Flint (1935), Salton volcanic domes of Imperial County, California (abstract): Geological Society of America, Proceedings, 1934: 328; Murdoch, Joseph & Robert W. Webb (1966), Minerals of California, Centennial Volume (1866-1966): California Division Mines & Geology Bulletin 189: 181; Pemberton, H. Earl (1983), Minerals of California; Van Nostrand Reinholt Press: 457. Rogers, Austin Flint (1922), A new occurrence of cristobalite in California: Journal of Geology: 30: 211-216; Murdoch, Joseph & Robert W. Webb (1966), Minerals of California, Centennial Volume (1866-1966): California Division Mines & Geology Bulletin 189: 162. Rutley, Frank (1890), On composite spherulites in obsidian from Hot Springs, near Little Lake, California: Geological Society of London Quarterly Journal: 46: 427; Rogers, Austin Flint (1922), A new occurrence of cristobalite in California: Journal of Geology: 30: 213-215; Murdoch, Joseph & Robert W. Webb (1940), Notes on some minerals from southern California, II: American Mineralogist: 25: 544.; Strong, Mary Frances Berkholz (1964b), Obsidian ridge in Coso Range: Gems & Minerals, No. 320: 16-18 May 1964: 16; Olsen, E.J. and Grossman, L. (1974) A scanning electron microscope study of olivine crystal surfaces. Meteoritics: 9: 243-254; Pemberton, H. Earl (1983), Minerals of California: 351, 457. Banks, Philip O. & Leon T. Silver (1962), Petrological and geochronological observations on the Roubidoux Mountain leucogranites, Riverside County, California (abstract): Geological Society of America Special Paper 68: 5-6; Murdoch, Joseph & Robert W. Webb (1966), Minerals of California, Centennial Volume (1866-1966): California Division Mines & Geology Bulletin 189: 181; Pemberton, H. Earl (1983), Minerals of California; Van Nostrand Reinholt Press: 458. Murdoch, Joseph & Robert W. Webb (1966), Minerals of California, Centennial Volume (1866-1966): California Division Mines & Geology Bulletin 189: 163; Pemberton, H. Earl (1983), Minerals of California; Van Nostrand Reinholt Press: 354. Murdoch, Joseph & Robert W. Webb (1966), Minerals of California, Centennial Volume (1866-1966): California Division Mines & Geology Bulletin 189: 181; Pemberton, H. Earl (1983), Minerals of California; Van Nostrand Reinholt Press: 459.
ⓘ North Mountain Serpentine locality ("Dunite Locality" of Emerson) ? Palache, Charles (1950): Fayalite at Rockport, Massachusetts. (American Mineralogist 35:877-881). George T. Mason, Jr., and Arndt, Raymond E., 1996, Mineral Resources Data System (MRDS): U.S. Geological Survey Digital Data Series DDS-20, U.S. Geological Survey, Reston, VA.
Eby, G. N. (1984) Mount Pawtuckaway ring-dike complex. In Hanson, L. S. (ed.) Geology of the Coastal Lowlands, Boston, MA to Kennebunk, ME. New England Intercollegiate Geologic Conference, Salem, Ma, pp. 240-248. Brush (1871); Frondel, C.: Am. Min. :50:780-782 (1965); Dunn(1995):Pt3:336.Burns, R.G. & Huggins, F.E. : Am. Min. :57:967-985 (1972); Dunn(1995):Pt3:336. Burns, R.G. & Huggins, F.E. : Am. Min. :57:967-985 (1972); Dunn(1995):Pt3:336. Can Mineral February 1998 v. 36 no. 1 p. 147-162 ; Rasmussen, M. G., Evans, B. W., & Kuehner, S. M. (1998). Low-temperature fayalite, greenalite, and minnesotaite from the Overlook gold deposit, Washington; phase relations in the system FeO-SiO 2-H 2 O. The Canadian Mineralogist, 36(1), 147-162. Frost, B. R., Frost, C. D., Chamberlain, K. R., Scoates, J. S., & Lindsley, D. H. 1996. A Field Guide to the Proterozoic Anorthositic, Monzonitic, and Granitic Plutons, Laramie Range, Southeastern Wyoming. In: Thompson, R. A., Hudson, M. R. & Pillmore, C. L. (eds. ), Geological Excursions to the Rocky Mountains and Beyond, Field Trip Guidebook for the 1996 Geological Society of America Annual Meeting: Colorado Geological Survey Special Publication 44. Field Trip No. 6. Lunar and Planetary Science XXXV (2004); Lunar and Planetary Science XXXIV (2003) and XXXV (2004); El Goresy, A., Ramdohr, P., & Taylor, L. A. (1971). The geochemistry of the opaque minerals in Apollo 14 crystalline rocks. Earth and Planetary Science Letters, 13(1), 121-129.